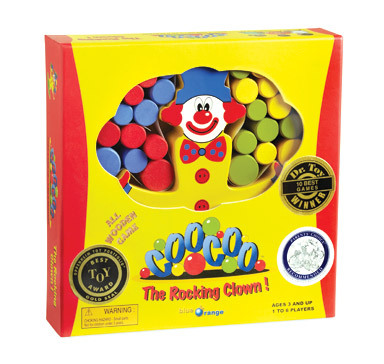 CooCoo the Clown loves to juggle, but his silly curved shoes make him teeter and just might make him topple over! To win, help him juggle the most balls without letting any fall. 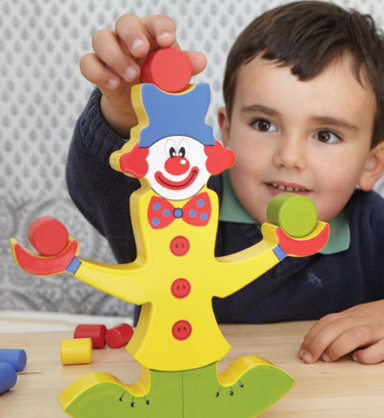 Little ones will have a ball with this fun game of balance! With the excitement of the crash, it never feels like losing when playing CooCoo. This all wooden balancing game is sustainably made.